Posted on September 01, 2017 at 8:00:00 am by Emma D.
Last year, our patrons told us that the inaugural Middle Waves Music Festival was one of the best weekends in Fort Wayne’s recent, collective memory. This September 15 and 16th, we’re back and—we believe—bigger and better than ever! Our lineup is stacked. With everything from indie pop, to hip-hop, rock, dance and folk—even fandango!—there’s a sonic something for everyone to enjoy. 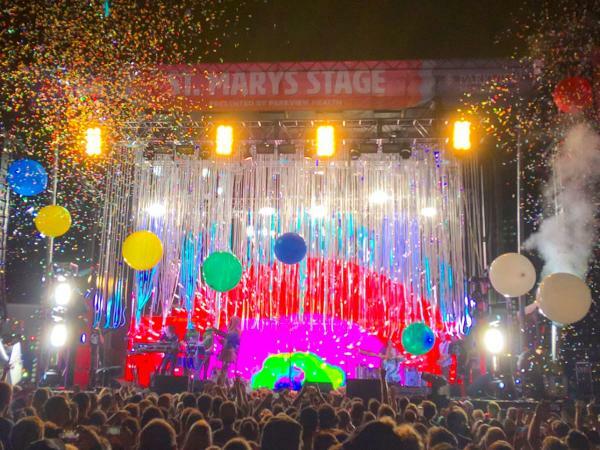 Our Grammy®-nominated dance-rock headliner, MGMT, will be joined by The Lemon Twigs, pop sensation KYLE, Thao & The Get Down Stay Down, Shannon & The Clams and 20+ more acts on three stages. 95% of these Vibe events are completely FREE! Middle Waves is Friday, September 15 (5–11PM) and Saturday, September 16 (11AM–11PM), taking over the entirety of Headwaters Park in downtown Fort Wayne. This is important: two of our three stages are 100% free and open to the public! You’ll be able to come down and enjoy live music from touring and local performers, food trucks, craft brew, photo booths, interactive art installations, vendors and more! A paid wristband is required for the St. Marys Main Stage, where many of our national touring acts will perform. 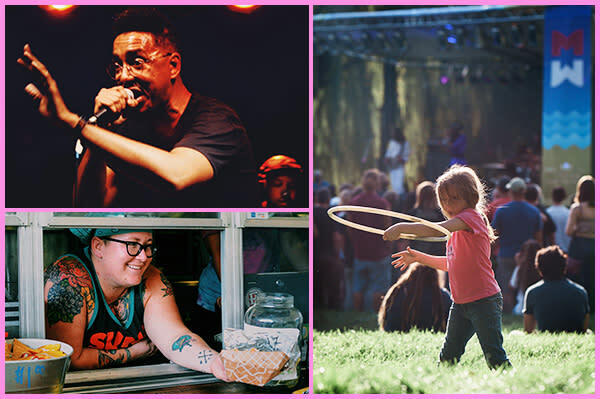 In the St. Marys Stage area of the festival, Wavers can also enjoy The Deep End lounge, featuring the LUSH spa, hair braid bar and Vibe Tribe craft nights. The St. Marys Stage area is also home to the VVIP lounge, featuring free massages, dinner catered by The Deck at Don Hall’s, private VVIP-only bar and exclusive pop-up fun.